Must be presented at time of write-up. Not valid with any other offers, menu priced services, or in-store specials. Cannot be used for retail parts, tires, or collision repair. One coupon per customer, per visit. Does not include sales tax, waste disposal fee and shop supplies. Off make parts are non OEM, and is 20% off of list price. 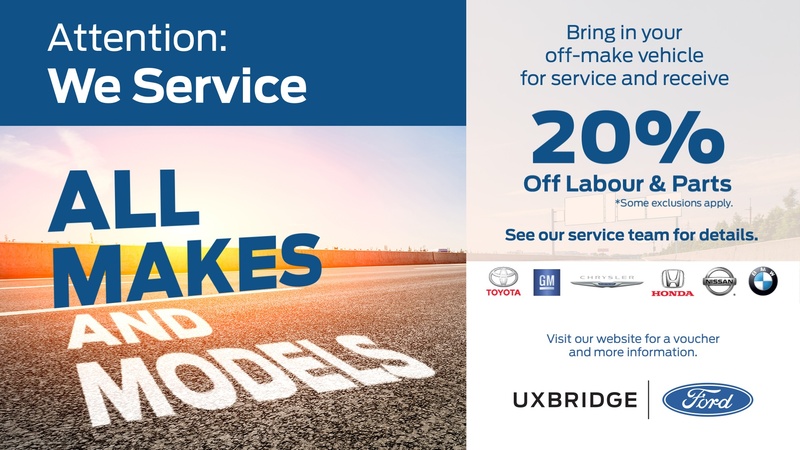 Ineligible if vehicle has been serviced at Uxbridge Ford within the past 2 years.